Community groups and partnerships commonly talk about needing simpler tools to evaluate their efforts. With this resource, you can begin benefiting from your own reflection activities without needing an outside evaluator. 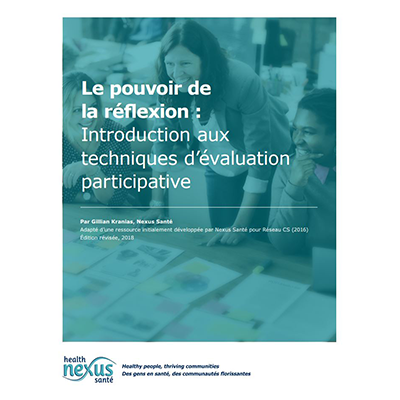 This manual is a companion to the resource Participatory Evaluation Toolkit (available in French and English). • identify results after a project or community event. Using participatory techniques can also help re-energize your group members’ relationships and commitment.